The Irish Data Protection Commission has formally begun an investigation into Facebook's recent data breach. It will now decide whether the firm should be fined for failing to prevent hackers from being able to access up to 50 million users' accounts. Earlier this year, the social network picked the regulator to be its "one-stop shop" for oversight of its compliance with EU privacy rules. The firm's former security chief said this was a consequence of having to report a breach at an early stage of the investigation. 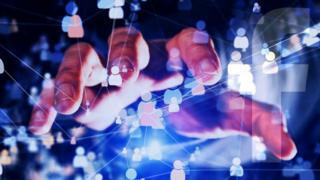 Alex Stamos, who left his post as the firm's chief security officer in August, tweeted that new European privacy laws mean that firms must report data breaches before they know full details themselves. "You can do incident response quickly or not correctly, but not both!" he wrote. "The 72-hour notification brings the customer needs to the forefront, rather than shareholder value," tweeted James. In a blog publicising the latest information on the attack, Guy Rosen, vice-president of product management, wrote that there was no evidence "so far" that attackers had accessed any apps using Facebook log-ins.